Happy Repeal Day! 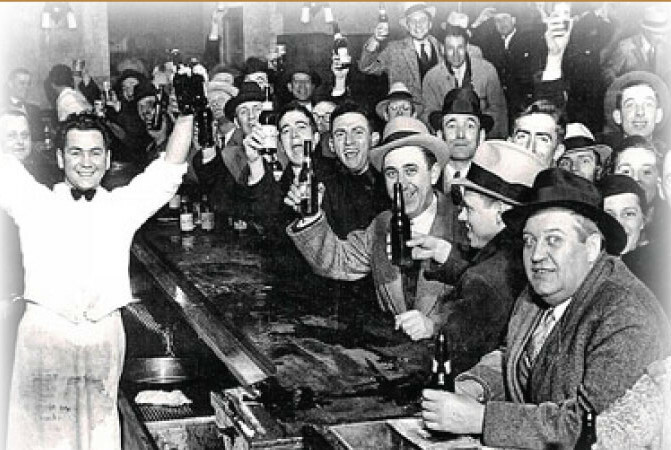 Click to listen to “Ohio v. Booze” to learn how Prohibition was OHIO’S FAULT! It’s Repeal Day! December 5, 1933, Utah, the final state needed for a 3/4 majority ratified the 21st Amendment repealing Prohibition forever. 14 years of the Volsted Act was over. People across the country celebrated this day December 5th by getting very, very drunk, as was their right. So Happy Repeal Day! One of our most popular episodes was last season’s “Ohio v. Booze” discussing how Prohibition came to pass and how it was all Ohio’s fault. Still one of my favorite episodes.